Recipes based on horror movies are totally our thing. 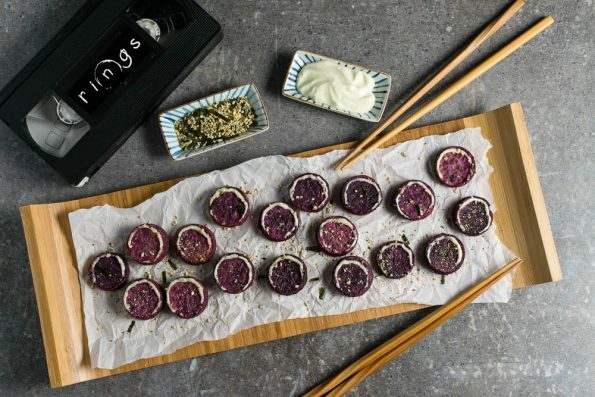 So when we heard about the release of Rings, the third movie in The Ring series, we knew a recipe was going to have to happen. 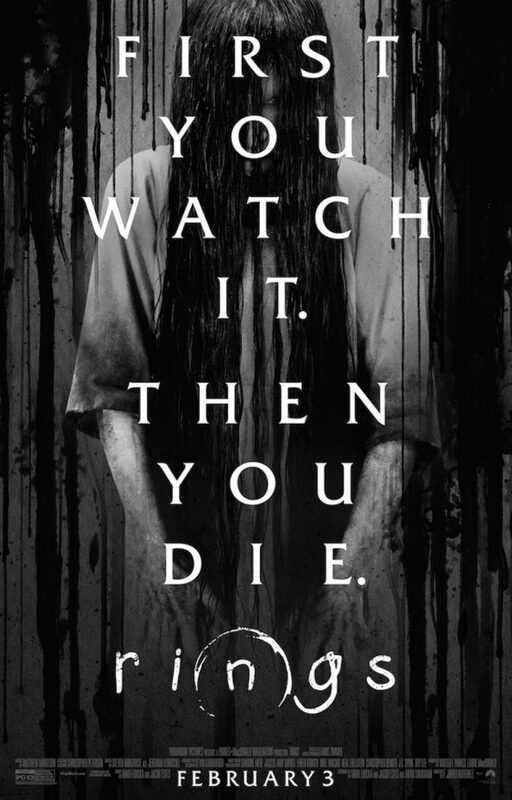 The Ring was one of our favorite movies when in was released. Based off of the Japanese classic Ringu, it’s success was heavily influential in the boom of remakes in the United States. When creating our recipe, we went through a ton of ideas. We thought about pizza bites and other circular food items. Then it dawned on us, we wanted to pay tribute to Ringu (while also acknowledging the U.S. series), the movie that started it all. More ideas came to us. Sushi bites, sashimi bites, and more. We just weren’t happy with the color palate given that the Ringu/Rings iconic symbol is a dark ring with a lighter colored ring. 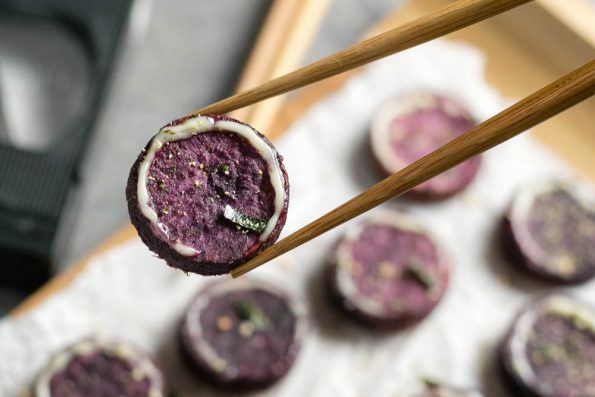 While working on another post, we were cooking with purple sweet potatoes. That was our “a-ha” moment! We decided to do a recipe that wasn’t Japanese to begin with and give it some flair. 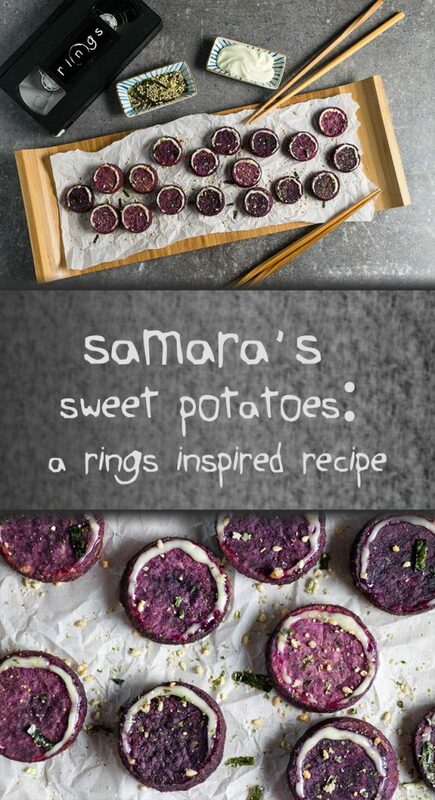 Thus, Samara’s Sweet Potatoes were created! These tasty bites are addicting! We couldn’t stop eating them. Not only do you get to enjoy this delicious appetizer, but we are also giving away 3 pairs of tickets to a screening of Rings. The screening will be held on Thursday, February at Tempe Marketplace. Winners should arrive at 6:20 to guarantee their seat. Good luck! Slice potatoes into 1/2" inch thick slices. Using a food ring or by hand, cut the potato slices into 1.5" circles. Toss potato circles in sesame oil. Place on baking sheet and sprinkle with salt. Bake for 15-20 minutes; until tender. Fill ziploc bag with mayo. Cut the corner of the bag, creating a decorating bag. Line each potato circle with a thin line of mayo. This recipe can easily be doubled for larger parties. *The Geeks received promotional material and screening tickets in order to research theming for their recipe but received no other compensation to facilitate this write-up; opinions are wholly our own. Screening tickets provided by Allied Marketing. View our Disclosure Policy for more info. This recipe is not only fantastic and creative but sounds wonderfully delightful!!! Love the wasabi mayo flavoring agent. Those potatoes are beautiful– love purple sweet potatoes! And funny idea. That’s such a creative idea! Love the flavor combinations here! Thumbs up!